Discussion in 'Work in Progress' started by Skeksis, Feb 5, 2019. 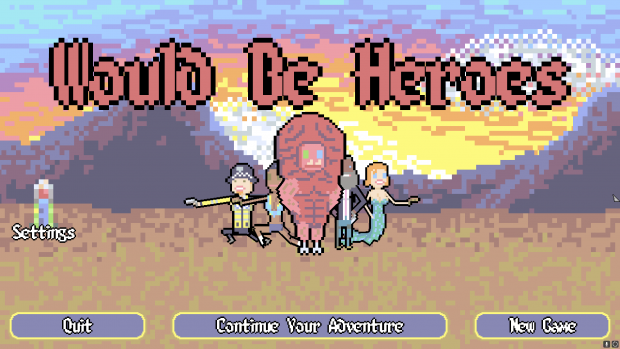 Would Be Heroes is a superhero themed tower defence / RPG. After a little persuasion from a mysterious computer, you are a civilian destined to make the world's greatest team of heroes. Once you're done it's down to you to realise your full potential as a superhero. Skill Tree: Increase in six main skills, Strength, Dexterity, Agility, Heart, Luck and Build. All affect your character and play style in very different ways. Shop: Buy weapons, suits, repair your base and recruit new team members with coin collected from the field. Inventory: A nice stash to store all your collectables and equip your team accordingly. Workshop creations: Build defence turrets and have some of these little fella's doing all the tedious coin collection duties, so you don't have to! Working autosave system: Resume the game from where you left off after exiting, plus your heroes may pose for you when you reload! Tutorial: Be progressively guided by a mysetrious friend, who will unveil the game's mechanics as you discover them! 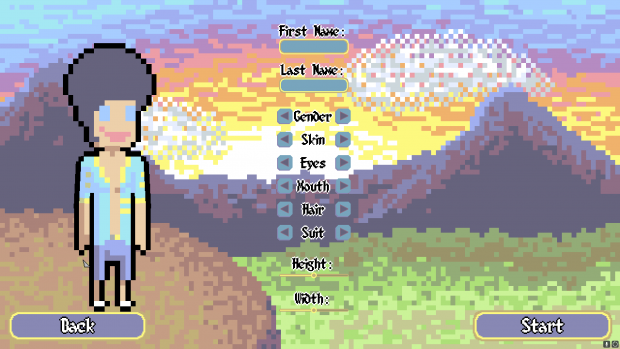 GUI: Character switch tabs, where you can easily beckon them to follow, access their skills page and see their name and portrait. Small tidy icons and fully working menu systems. Settings: Including fullscreen toggle, volume sliders, outline toggle and damage displays. Improved sound effects: More pleasant and less repetitive gun sounds, hitting, slapping, whizzing, popping and beeping noises all added! 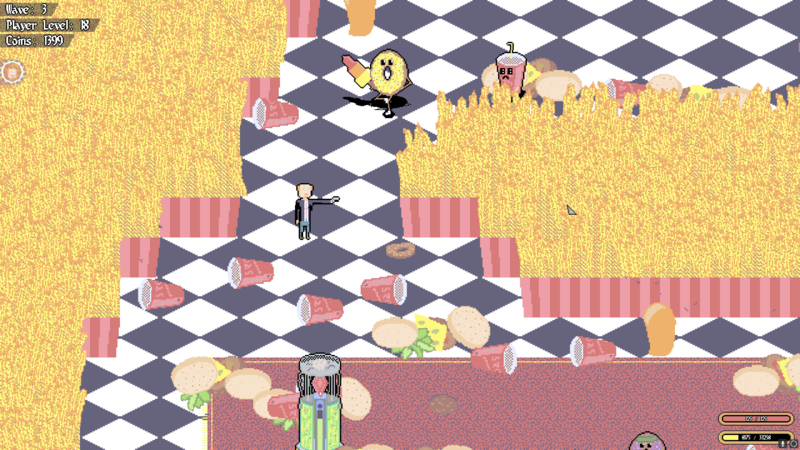 Combat: Wield a scary powerful gun or just be a traditional hero and just hit things! Superpowers: 3 active powers and 1 passive for you to discover! This is possibly the last general demo release, as everything I work on from now on will go towards the paid release. This is not a definite by any means as I am still a first time developer and have yet to learn of the full journey ahead! Any feedback is greatly appreciated, good and bad! Hey, gave your game a try as it looks like you've put a fair amount of effort in, so you deserve some feedback. Based on 0.088 from the website. The music is really nice, but a tad repetitive, and can seem a little overbearing right now, throwing in some extra music tracks that the game switches between would be nice, as it is good, just after 10 minutes of the same song, it's hard to keep listening. The font during the introduction/tutorial I found quite difficult to focus on and read. Co-ordinates for the back button in the options menu is a little off, you have to have the cursor below the button to click it I believe. Animation and graphics style I think is quite nice, the only thing I wasn't sure on here were the white ice creams/meringues/whatever the walls are. They didn't seem to fit in with the rest of the game and looked a bit unfinished. But other than that, I really liked it. Shop is good, but I seemed to be earning about 200 coins per wave on average, and when the cheapest item is over 2,000, it was kind of demoralizing to have to do a ton of waves to buy 1 item, having some cheaper stuff in for like 500 coins would be a good incentive for people to keep playing, rather than having to wait so long for a reward. Gameplay feels smooth, helped by the animation, although I did find myself just sitting there and punching, but I guess that changes when the enemies get tougher. And aside from the crushing guilt that comes from punching an excited cookie in the face, it was enjoyable. Have you thought about a co-op element, having a second player function as another hero, like the companions you can buy? Would require additional balancing I guess. This is exactly what I needed. I will definatly tackle the music variation, the button problem, the text clarity right away! 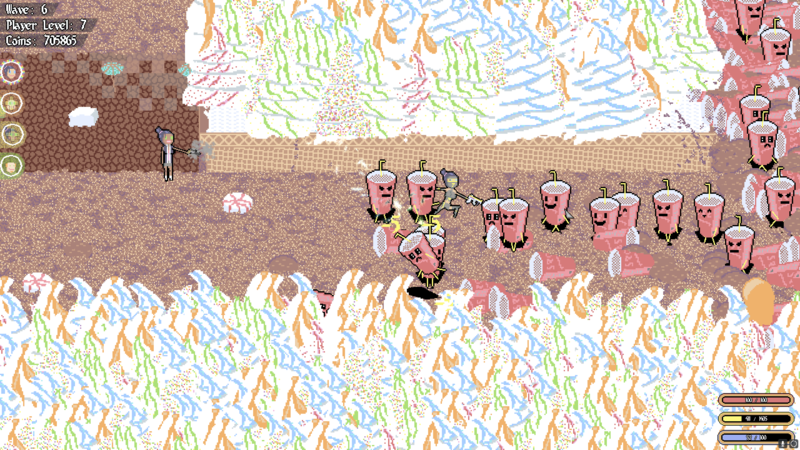 I agree on the art style for the first level is probably the weaker of the three, and you might have hit the nail on the head with the what are meant to be whippy icecream walls, being the main cause. 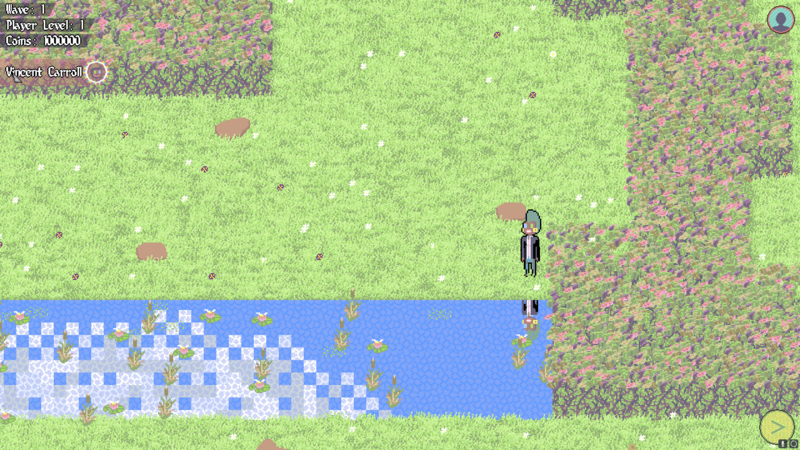 I basically learnt pixel art from scratch for this game, as before hand I'd have someone do the art for me, so I think the walls are definitly a consequence of inexperience, so I'll have a revise on how to bring them out some more! As for the shop problem and not earning enough money, I think considering this is a taster demo, you may be right in the speed of which you aqcuire new items to be a problem. I had programmed something at the end which gives you a lot of money to replay and experience what you couldn't the first time round, but I have to work on grabbing attention quicker, so it is something I will take heavily on board with my presentation. That'd mean a quicker transition for punching to guns and superpowers! 2 player max, couch coop. Instead of max team of 7 (your character as leader and 6 others), I would have 2 leaders in teams of 3, so a total of six characters, with a higher buy rate for NPCs, and seperate cash stocks. 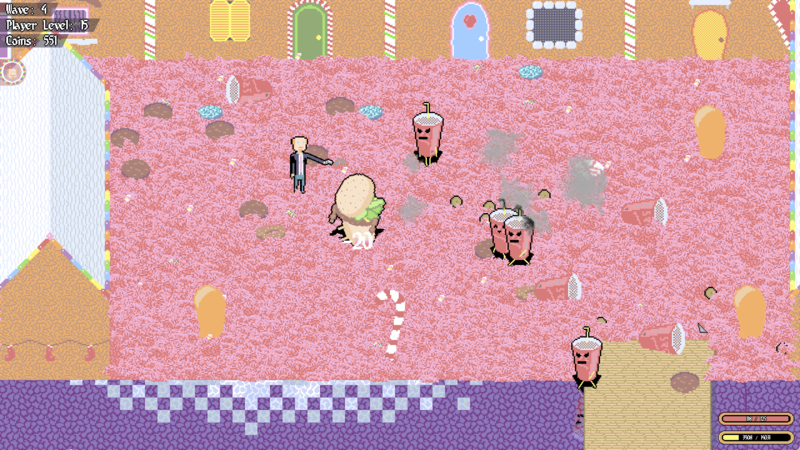 I would increase the rate and amount of enemies from 25%-50% depending on where the sweey spot seemed to be. Possibly later add a versus mode. I am not fully commiting to this but I may lay out a basic mode of it for the next demo, and see how people enjoy it. Cheers for spending some time out to play!